Luminous geometric patterning, spacious blue views of the changing moon and warm orange spreads of bustling celebration give us a gorgeous glimpse of the treats and traditions of Ramadan. 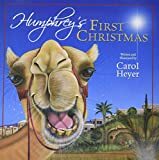 Relayed with the pomp of an indignant camel and replete with starlit sandscapes, stunning, sometimes comical close-ups and loads of understated melodrama, this twist on the Christmas story is as hilarious as it is endearing. You can view some fabulous illustrations from this book here. 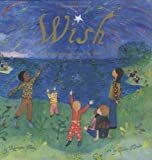 Dramatic, stylized folk art, carefully worded text and a cleverly crafted story-within-a-story format combine to create an engaging story time snapshot that vividly illustrates the unwavering strength of parental devotion — and the quiet power of children’s books. You can find more information about adoption at Moonrattles, an online community for tweens touched by adoption and fostering. Welcoming illustrations and stirring text exalt the gifts of an Indian banyan tree while gently tossing us on waves of darkness, golds, laughter, peace and chatter. You can read more about banyan trees here. Spellbindingly surreal illustrations contrast with matter-of-fact narrative to relay this thought provoking story of perspective, choice and inter-generational connection: “All you have to do is keep your dreams”. Surreal illustrations and rhyming text invite us to rise above the judgements of others and stay true to our authentic selves. Can the way we see the world impact the way we are treated? Do we allow ourselves to be bullied because we lack courage, confidence and compassion? One thing for sure is that we can never change another — we can only change ourselves. This simply told and insightful look at bullying is a thought-provoking must-read for bullied, bullies and bystanders. Our girls love it. In honour of Martin Luther King Day on Monday January 15, 2007, Amy Wachspress will be launching The Call to Shakabaz, an innovative, non-violent fantasy which is set in an African American cultural context. Mark speaks with author and activist Amy Wachspress about this ambitious book, the importance of exercising our creativity and her seven daily practices that can change the world.